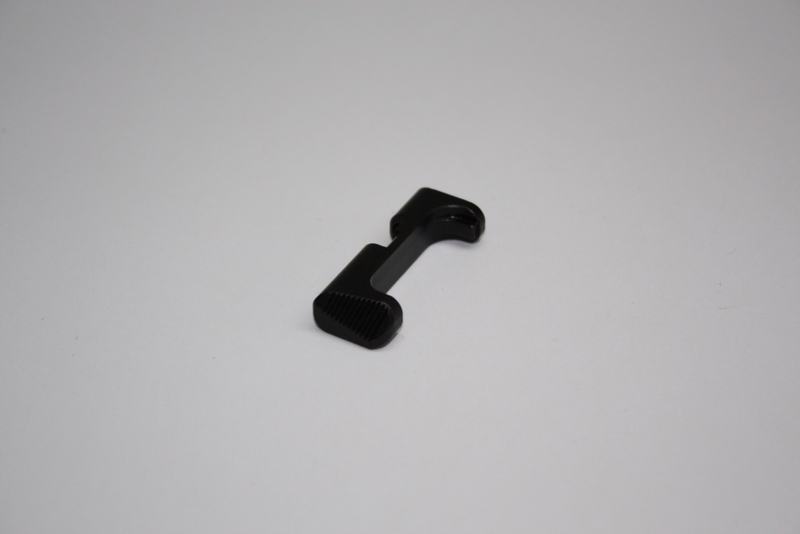 Magazine catch optimally shaped and checkered for universal use. 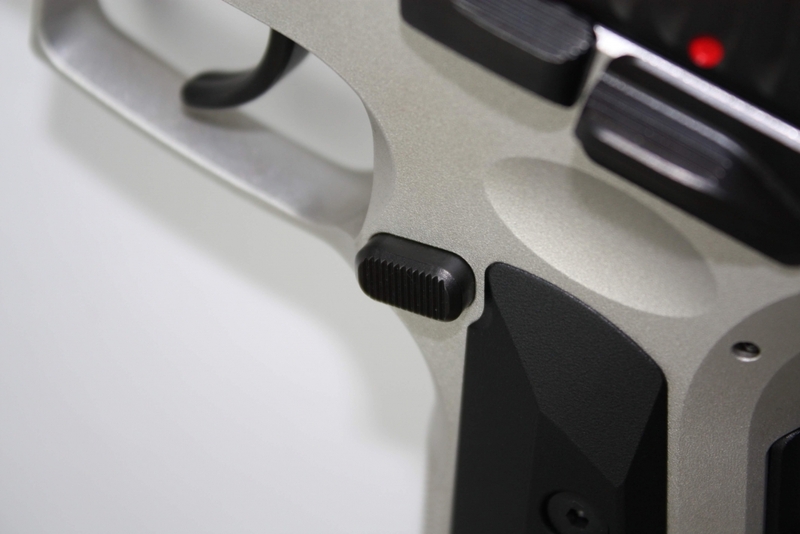 Suitable for the right and left side of the pistol. Steel construction. 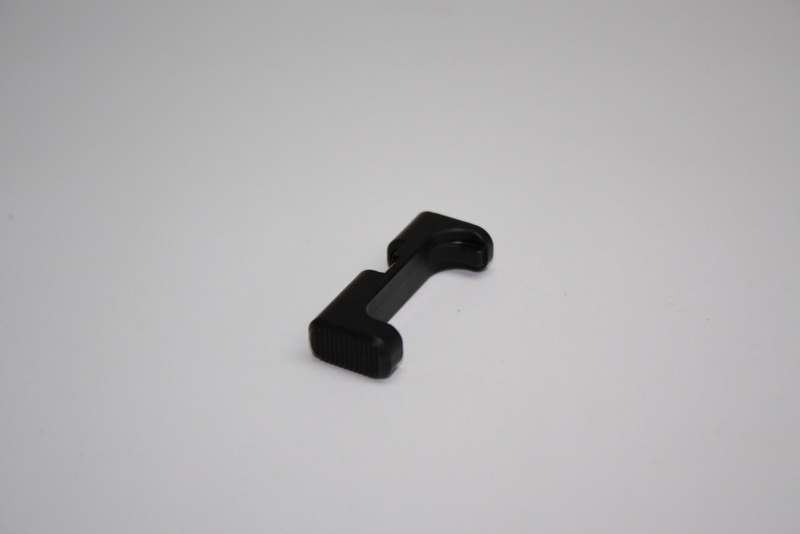 Sport magazine catch with an ergonomically shaped pad, which in comparison to the standard magazine catch protrudes 1.3 mm further. 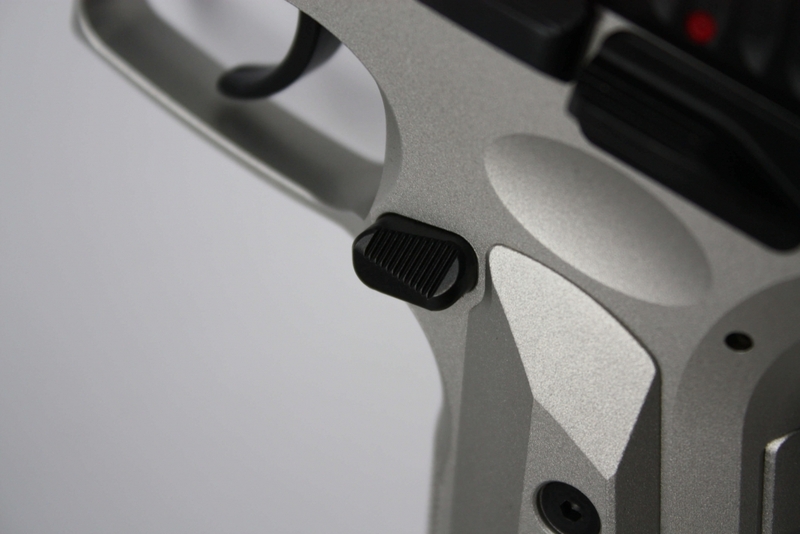 Even though it is reversible also to the right side of the pistol, it is ergonomically designed for the left side only. Steel construction.